Interview with Nigel Greenwood: Looking forward to many more years on the open road « Translator T.O. Next up in the Open Road interview series is Apple Watch winner Nigel Greenwood, a freelance translator and interpreter working primarily in Spanish and Catalan into English. Nigel specializes in technical, engineering, legal and financial texts, and has been in the business for over thirty years. He currently resides in Valencia. Q. I see that you’ve been working as a translator since 1984. I’m sure you’ve witnessed a lot of changes in the field during your career. How have these changes altered the nature of your work? A. I became a full-time freelance translator after being made redundant in my last position when the company I worked for, after 10 long years, closed its doors in 2008. I was then 54 and of course I was desperate and downhearted, and was searching for a job on the Internet when I found ProZ.com. I quoted for a project and, surprise! My quote was accepted, I did the translation, sent off an invoice and surprise! I received payment. This is what convinced me. Since then, indeed, I have witnessed many changes in the translating industry. That is what caused me to become more specialized. Therefore, during my free time I studied all I could about aviation and helicopters, which has allowed me to be invited to do more interpreting work in those fields. Q. Your profile indicates that one of your specialties is working as an in-flight interpreter for real and simulator flights. That’s incredible – how did you get into that line of work? A. In-flight interpreting is certainly exciting and thrilling. How did I get involved? Well I am thankful to ProZ.com for this. You see, one of my first clients was a Spanish agency who found me through ProZ.com. After doing many technical translations for them, they invited me to quote for an interpreting project during a Mechanics course for helicopters. I prepared the quote and it was accepted by their client. The course -at their client’s premises in Spain- was led by a Chief Instructor from the company’s headquarters. He taught the course and all went well. At the end of this three-week course he asked me if I was available for another course, this one on avionics. I accepted and during that time he evaluated me as an interpreter. I was then invited as an interpreter at the company’s base in France. There I also worked as an interpreter for simulator courses and then, after showing my capability, I was asked to interpret in-flight courses. Their clients -mainly Latin Americans- were all very pleased with my interpretation and gave positive feedback about me. I have worked continuously with this client since 2010. Q. Are you optimistic about the future of the industry? A. Yes, I think that although there is much fierce competition, not to mention the rise of machine translation, gradually clients are seeing that quality is always better than price. In fact, I have gained more clients recently due to them coming to me to re-do another colleague’s work. Of course, we should assure we are up-to-date with all the knowledge about our specialities. Naturally, we also have to be aware of how the industry is progressing, CAT tools, etc. A. As I mentioned earlier, I found my initial, very good client through ProZ.com, and since then I’ve found enough clients to keep me busy. In fact, I very rarely quote on offers now, but I like reading some of the forum posts and seeing other viewpoints from colleagues. 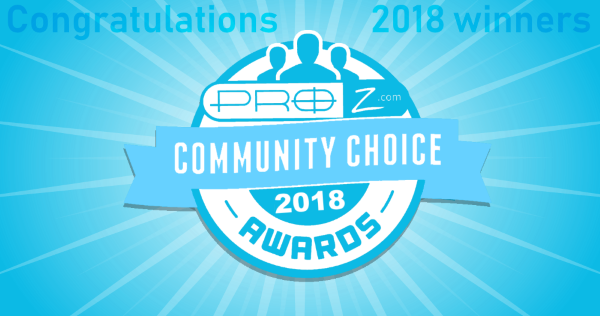 I feel very grateful to you all, and that is why I will always remain a member of ProZ.com. Whenever anyone asks me about my profession and how they can start as a translator, I always suggest that they have a look at ProZ.com. For me, it is the best way to start in this exciting industry. A. Well, I take this to mean that I have not yet reached my ceiling. I plan to concentrate on my interpreting work and feel that this is good for me. I see the opportunity for improving my abilities and enjoying my profession even more. Certainly my road is open and I am journeying along it to my delight, and looking forward to many years of work. Many thanks to Nigel for sharing your story with us! Wishing you many more years of work ahead of you. As a reminder, all posts in series can be found at http://www.proz.com/open-road. Stay tuned for another interview in this series to be featured soon!